FootJoy has expanded its clothing offering with the launch of the FJ Spring/Summer 2015 Performance Apparel Collection. The new range is characterized by modern colour schemes, high-performance fabrics and fashion detailing. Since launching into the apparel market in 2012, FootJoy has enjoyed year-on-year growth. This year’s Spring/Summer offering is larger than ever before – something FJ puts down to increased demand among retailers and golfers. FJ’s Spring/Summer 2015 clothing line is comprised of four collections, yet certain features remain constant throughout. Top-of-the-range fabrics – including designs in Cooling Pique, Oxford Knit, Stretch Pique and cotton-feel Spun Polyester – are used in the polo-shirt offering. Mid-layer garments include Chill-Outs, Brushed Chill-Outs and Pique tops, as well as Lambswool and Jersey garments. Technologically advanced materials – such as stretchable polyester and spandex blended fabric – are utilised in FootJoy’s Performance Trouser, which is available in three fits: regular, athletic and new tapered-leg slim fit. These garments form part of four different collections, each with differing colour schemes. The Atlantic Collection is the more vibrant choice, featuring bold pallets like Nautical Blue, Red, Navy and White, while the Nova Collection is a subtle alternative. The Verdant Collection is made up of pastel colours and the Voyager Collection includes Reef Blue, White, Black and Khaki tones. 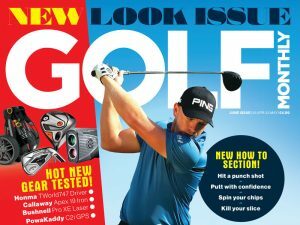 “The diversity of the range in recent years has seen it gain terrific traction with golfers of all ages,” said FootJoy Marketing Manager Russell Lawes. “Each of these new collections provides a modern take on authentic golf designs that make as much of an impression on the golf course as they do on the high street. Women’s and children’s items are also included in the FJ Spring/Summer 2015 collection, which builds on the success of the Spring/Summer 2014 Performance Apparel range.